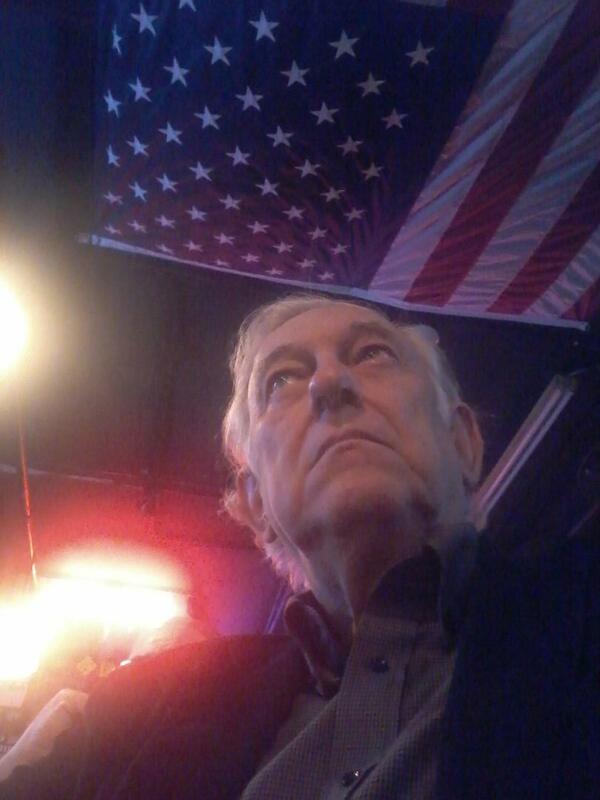 A Disgruntled Republican in Nashville: Please tell your councilman to oppose "policing for profit" and to support innocent until proven guilty and due process. Please tell your councilman to oppose "policing for profit" and to support innocent until proven guilty and due process. Most Americans, whether they think of themselves as liberal or conservative, agree on certain basic concepts of government. Most people believe in the concept of innocent until proven guilty and believe in due process. 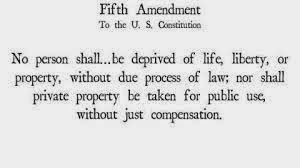 Most people do not want the police to be able to confiscate their property if they have not been convicted of a crime. On Tuesday November 20th, the Council will have on its agenda a resolution to approve Metro's participation in a program that violates these basic concepts. 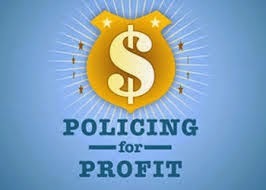 Sometimes called "Policing for Profit," the program the Council will be voting on is to participate in the “Equitable Sharing Program” of the civil asset forfeiture program. The legislation is Resolution RS2018-1486 which formalizes an agreement between the United States Department of Justice (DOJ), Drug Enforcement Administration (DEA) and the Metro Nashville Police Department (MNPD). This agreement would govern the participation of DEA Nashville District Office Task Force participants in the DOJ “Equitable Sharing Program” and formalize MNPD's participation in the program. What this program does is allow Metro to become a partner with the State and Federal government in the civil asset forfeiture program. I know this is unbelievable. You may have thought that in America you were innocent until proven guilty. That is not the case. Under The Comprehensive Crime Control Act of 1984 the procedure as described is perfectly legal. Many poor people who may be carrying cash, with their cash gone, can't afford to hire a lawyer to fight to get their money and car returned and are forced to just accept the injustice and the loss. It they can fight to get their property returned it may take months or even years to prevail. 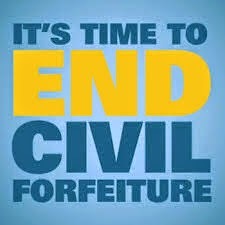 Civil Asset Forfeiture is an outrage. It is opposed by liberal groups like the ACLU and conservative groups like The Institute for Justice and The Beacon Center, yet it prevails. The police often use this money to supplement their budget and the practice is sometimes referred to as "policing for profit." The Council should vote against this resolution and refuse to participate in this shameful practice. This is the second time this issue has been before the Metro Council. This agreement has to be renewed every year. It was before the Council last year and by a vote of 16 to 15 with four abstentions the Council approved participation in the program. Councilman Dave Rosenberg spoke against the resolution and argued Metro should not participate in this program. To view that discussion see timestamp 2:35:10 in the video at this link. Below is the result of the roll call vote when the issue was before the Council at that time. Please note that minutes show the only one absent from this meeting was Robert Swope. The others may have been there at one time and stepped out of the room, not paying attention, or simply chose not to vote. It is very disappointing that some of those who voted in favor of the bill are members who are thought of as among the small handful of conservatives in the Council. Those who I am extremely disappointing with for supporting this bill or failing to vote against it, I have highlighted in red. It is time to end this shameful practice. If you would like to tell your councilman to vote against this bill, follow this link and you may do so. To find your individual council member's phone number and email address, follow this link and click on their name. If your council member voted the right way last year, you may want to encourage them to also vote that way this year. If they sat on their hands and did not vote or voted "abstain," try to switch them to a "no" vote. Some of the "yes" could be switched to "no" if they get calls from their constituents. Note that there have been a couple changes in the Council makeup since last year. District 1 Councilman is now Johnathan Hall and the District 29 seat formerly occupied by Karen Johnson is now vacant. The vacancy helps those who oppose civil forfeiture since Karen Johnson voted in favor of it last year. This was close last year, it could be defeated if people care enough to let it be know that they care.